Go graphic and be bold with innovative shapes and textures, like this stunning Tom Ford clutch. 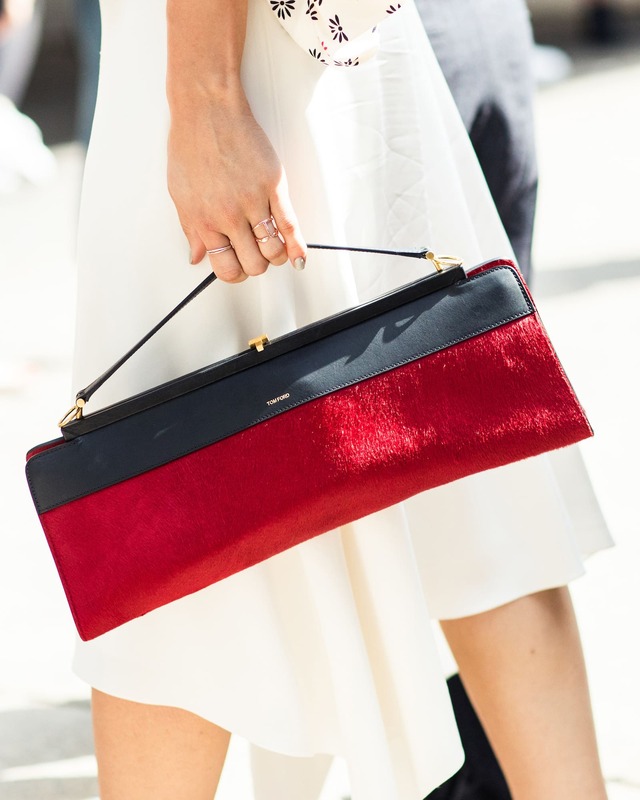 Claire Waight Keller left Chloé with one final IT bag – but now, how to choose just one colour? It’s a safe bet we’ll want anything Alicia Vikander wears, and this SS18 style by Louis Vuitton is no exception. 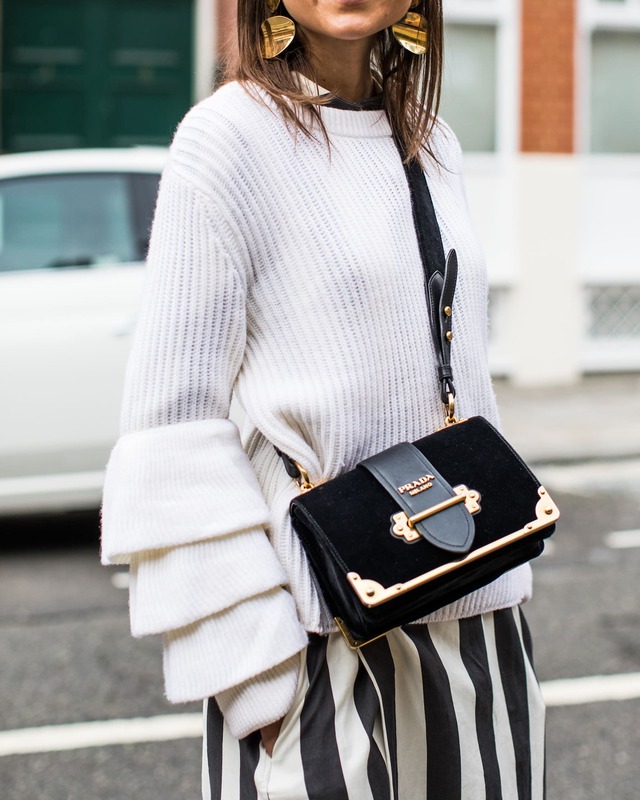 Velvet is still going strong, and we love this classic Prada style which is a pared back version of last year’s must-have constellation bag. 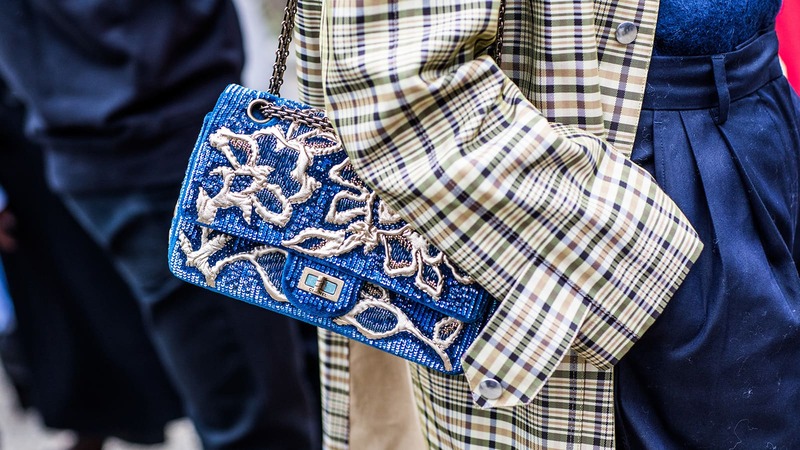 Embroidery is making a comeback, and this Chanel bag spotted on Leandra Medine combines texture with a pop of colour. We’re a little in love with Loewe’s update on the Barcelona bag. This baby features a fair isle-knit top, in the perfect shade of neutrals. 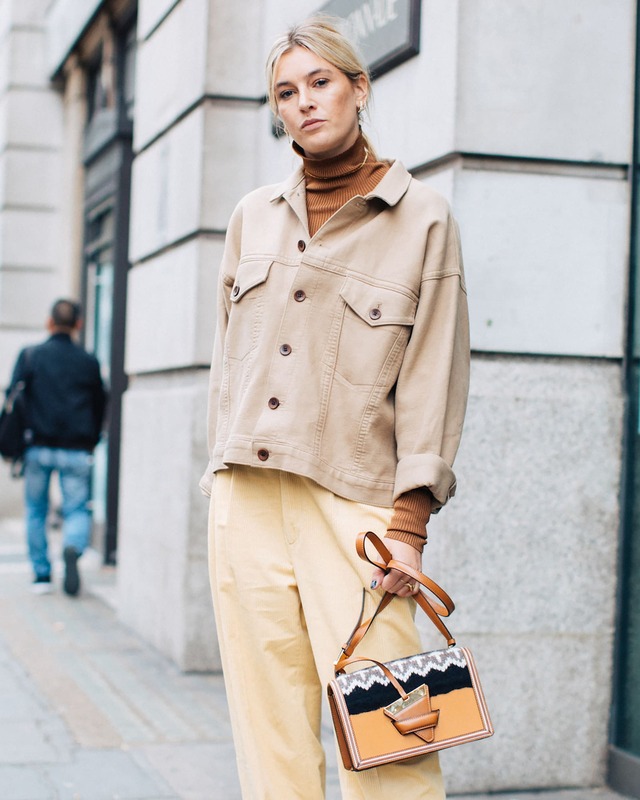 We love how Camille Charriere kept it tonal on the streets of London. Lucy Williams is always a go-to for style inspiration, and it’s no wonder this Staud Moreau bucket is on our radar. A fun take on the basket-meets-bucket bag trend. 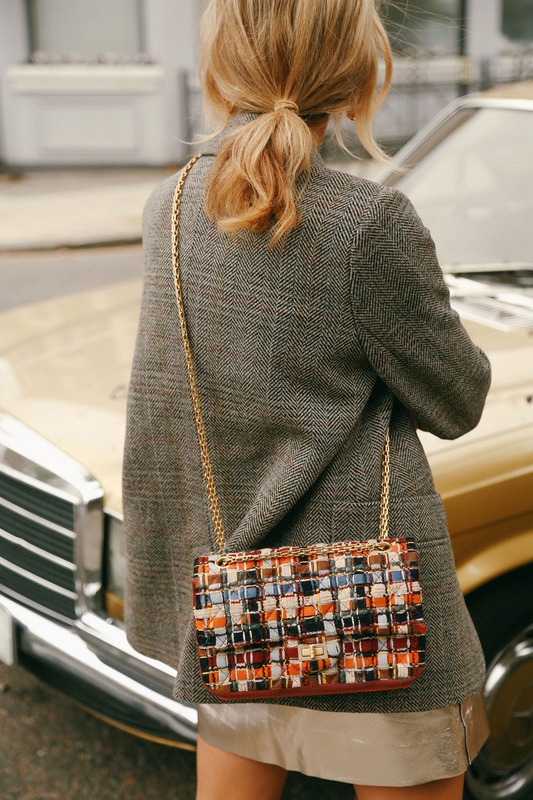 We love a vintage moment, and with sites like The Real Real and Vestiaire Collective, you can find the throwback bag of your dreams. 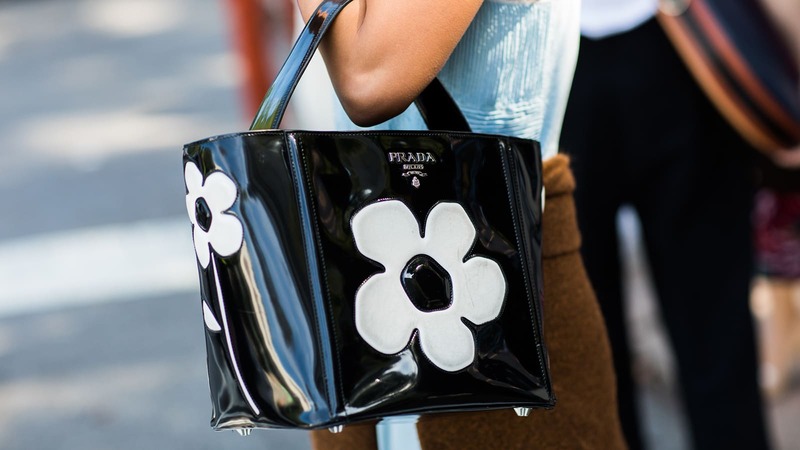 This vinyl Prada number is pretty fun. 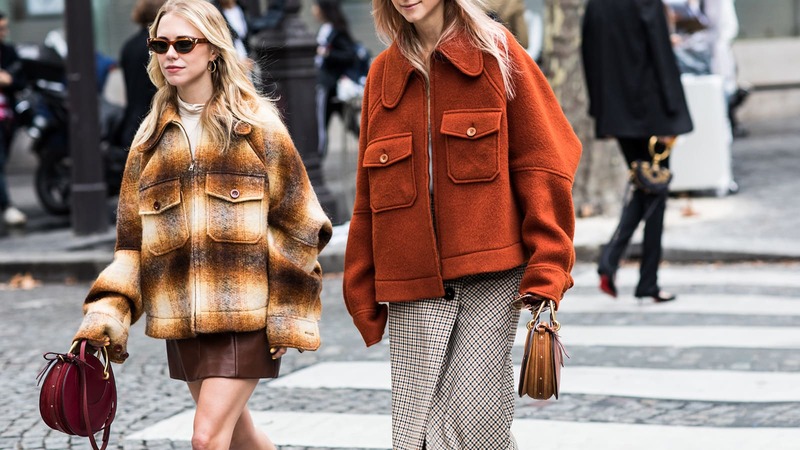 J.W.Anderson’s Pierce Bag had a major moment last year, and the new hobo version in a slouchy suede is just as tempting. We’re a fan of the baby blue too. The humble basket bag isn’t going anywhere… Try your local vintage stores, markets and niche online boutiques for something that says ‘Summer in France’. I really need to finally get an embroiled bag!